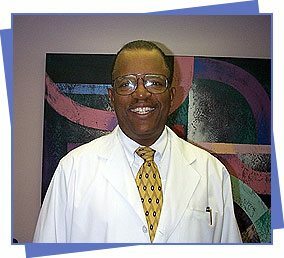 Robert S. Beale, Jr., M.D. was born in Prairie View, Texas, grew up in Durham, North Carolina, and received his high school education at Phillips Academy in Andover, Massachusetts. He received both his Bachelor of Science (Zoology) and Medical Degrees at Howard University in Washington, DC. In February 1971, after serving in The United States Public Health Service, he opened an office for the private practice of family medicine in the Washington, DC suburb of Glenarden, Maryland. Dr. Beale became interested in specializing in weight reduction in 1974 because he realized that many of the illnesses that he was treating such as diabetes, hypertension, heart disease, cholesterol and arthritis were either caused by or worsened by being overweight. In 1977, he joined the American Society of Bariatric Physicians (ASBP), an organization of physicians dedicated to the ethical treatment of obesity and eating disorders. Dr. Beale had specialized training and more than 30 years experience in treating obesity and related overweight conditions. Dr. Beale was conversant in Spanish and fluent in Portuguese. NOTE: Sadly my father, Dr. Beale, was killed in an automobile accident on November 13, 2004. He was a weight loss pioneer for over 30 years and I am proud that we have been able to continue his legacy of caring. To hear his voice about our program, please LISTEN to the recorded message. For a little more insight into the man that Dr. Beale was, you may read Thoughts From Daddy’s Little Girl. Please feel free to call me directly at 202-463-7872 if you have any questions or concerns. Louis Brill, MD, is a native of Manassas, VA and graduated from Johns Hopkins University in Baltimore, MD. His medical school and residency in pathology were completed at the University of Virginia in Charlottesville. 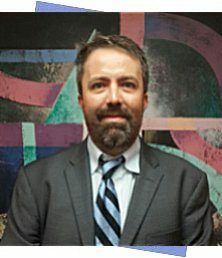 Dr. Brill has been a staff member since 2014. Dr. Brill has been the Medical Director at Dr. Beale’s Medical Weight Loss since 2015. He is a Member of the American Society of Bariatric Physicians (ASBP). 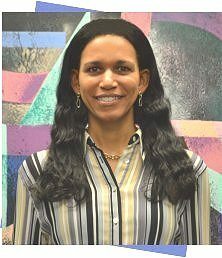 Lisa Beale, Dr. Beale’s oldest daughter, has a Bachelor of Science degree from Howard University and a Master of Science degree from Johns Hopkins University. She had been an entrepreneur in the computer business for many years when in 2001 she was asked by her father to leave Los Angeles and return to Washington, DC to help with his weight reduction practice. As Dr. Beale’s daughter, she “grew up” with the practice and worked in the office in many capacities as a youth. Lisa was glad to return to the practice and to the service of humanity, as she was not being fulfilled spiritually working primarily with machines. She holds the titles of Director of Operations and Weight Loss Counselor. She is an Affiliate Member of the American Society of Bariatric Physicians (ASBP). Lisa has received and continues to receive organized training in weight loss counseling. 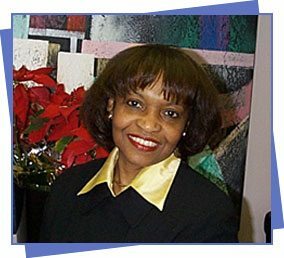 Idelle Leavy, a native of Lake Charles, Louisiana, attended McNeese State College in Lake Charles, Louisiana and Southern University in Baton Rouge, Louisiana. She has been the office manager at Dr. Beale’s since 1971 and his Weight Loss Counselor since 1974. As such she has more experience in dealing with overweight patients than any other non-physician in the Washington, DC area. She is widely known for her sympathetic personality, ability to relate, unselfish devotion, and helpful suggestions that aid the overweight person in losing weight. She has attended numerous seminars and training sessions in order to gain the knowledge necessary to aid in weight reduction. Mrs. Leavy is conversant in French and Creole. Other staff members are receptionists and medical assistants. They are chosen for their skill and sympathy in dealing with the patients. All medical assistants are excellent at drawing blood. We realize that an overweight person often has small veins, so we are very good at drawing blood. Two staff members speak fluent Spanish and English. Contact us through the web form or call 202-463-7872. To schedule your First Visit/Physical Exam Appointment Click Here.